The name Rowland is a staple found often over the past 50 years in Southern Gospel Music. Barry Rowland, the son of prolific songwriter Kyla Rowland, started Barry Rowland and Deliverance in 2004. Based out of Knoxville, TN, this trio is comprised of Barry Rowland (baritone), his wife Tammy Rowland(soprano/lead), and the uber-talented Matthew Burgess (lead/tenor). They have been nominated multiple times for Favorite New Artist, Favorite Trio, Diamond Awards, as well as the Top 5 New Artist in the Singing News Fan Awards. 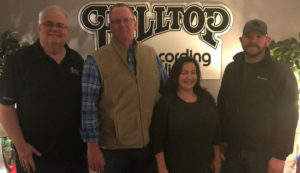 They’ve had many chart-topping hits including “Our Third Day,” “We’ll Go Down Standing Up,” “Somebody Go Get God,” “God Has Been Good To Me,” “He Took My Case,” “I’ve Heard of a Land,” “He’s Still God”,” I Can Still Pray Through,” and many others. They sing at large events, as well as small and large churches alike. When the door opens for ministry, they walk through! 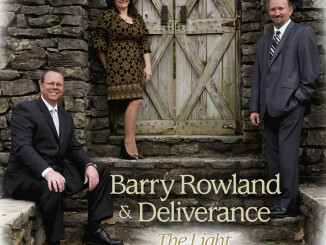 For more information on Barry Rowland and Deliverance, visit them atbarryrowland.com.